Happy Saturday! I hope your weekend is off to a good start! To make things even more special, it is time for Elle's Studio's May Collection and Inspiration Gallery Reveal. And this month she has not one, but 2 exclusive and limited edition kits for you. 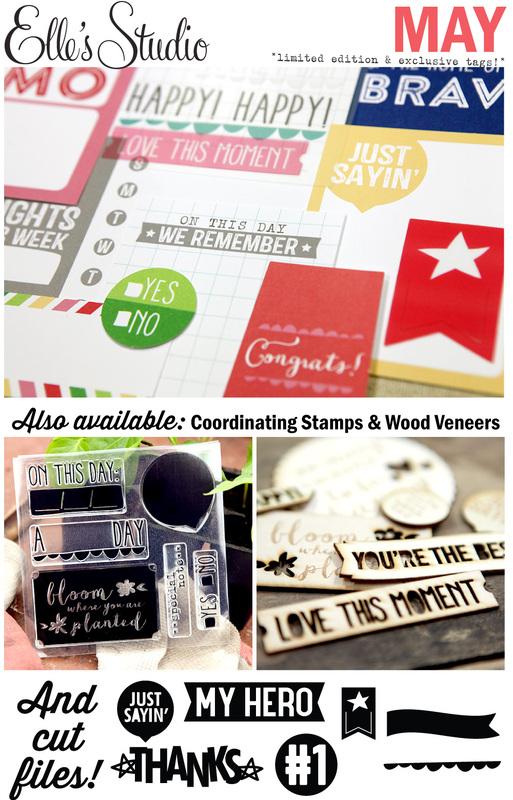 One is the regular MAY COLLECTION including exclusive tags, stamps, wood veneer and digital cut files that all coordinate with images and sentiments perfect for the Month of May! 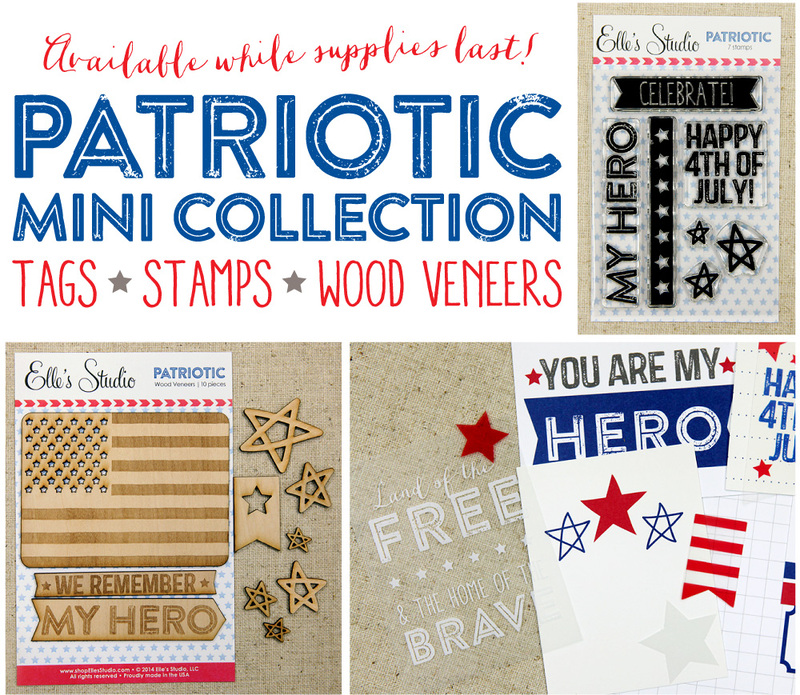 Elle's Studio is also releasing an exclusive, limited edition PATRIOTIC MINI COLLECTION that includes die cuts, stamps, and wood veneer that are perfect to use for the upcoming holidays including Memorial Day and 4th of July! 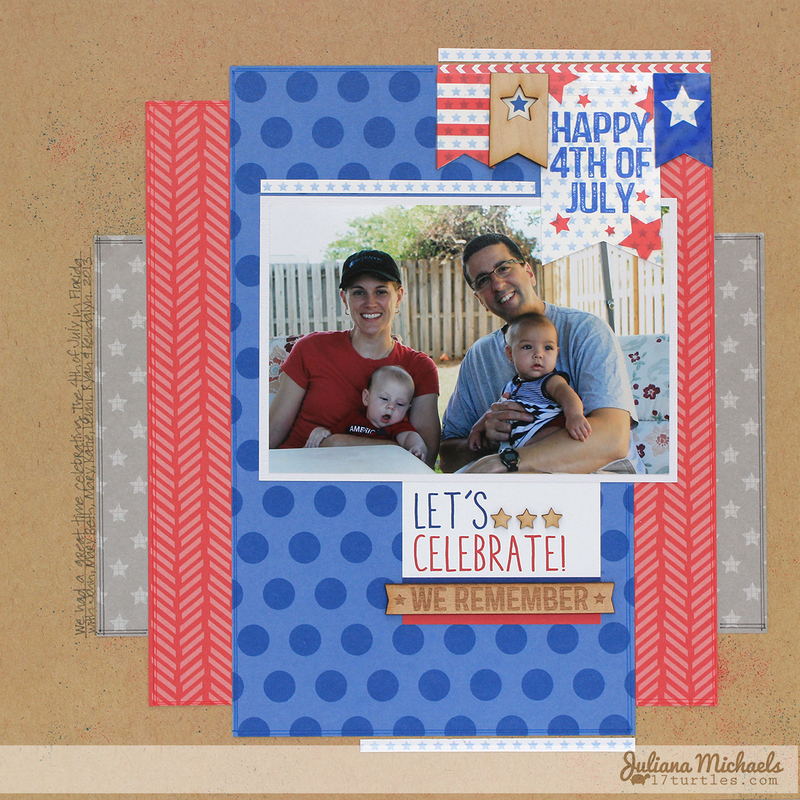 Today, I am sharing a scrapbook page I made using the Patriotic kit and a photo of me and D with our great niece and nephew. 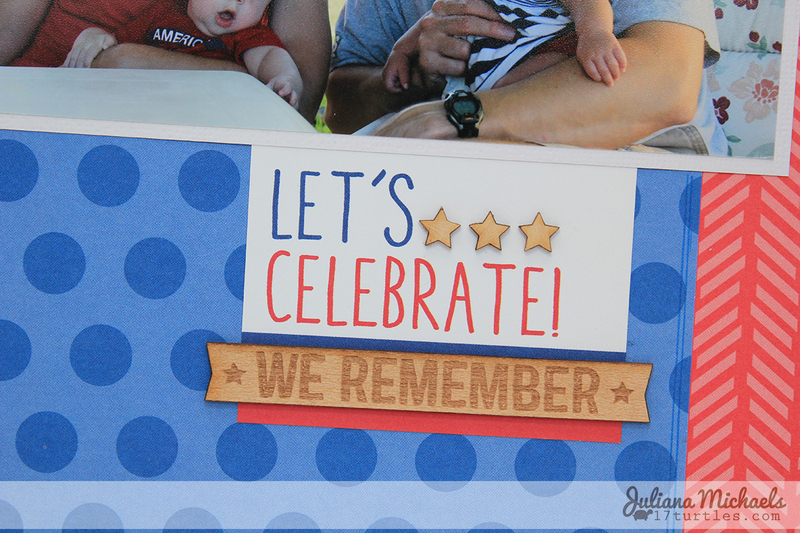 We visited them last summer for their baptism's and celebrated the 4th of July with them as well! And if two exclusive kits aren't enough, Elle has added something new to her kits this month - TRANSPARENCY TAGS!!! You will find some of these awesome new additions in the Patriotic Tags. A fun tip...See the light blue stars? Those are from the packaging that came with the Patriotic Wood Veneers. I traced the transparency tags onto the packaging, cut it out and then backed these banner pieces with it using my ATG Gun. I then cut a few more strips from the packaging and placed them at three places on my layout. Of course the wood veneer also added the perfect touch to my title piece! 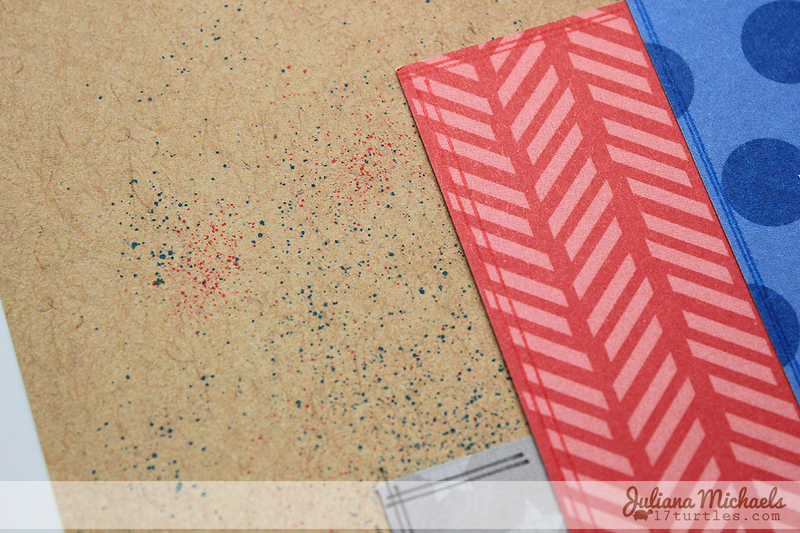 Along with the awesome Elle's Studio, I also played with the new Tim Holtz Marker Spritzer Tool, as you can see here. Anyone else tried this tool yet? I personally think I need to spend a little more time playing with it. Aren't you just loving these? Now that I've enabled you, it's time to go shopping!!! I love this Juliana!!! Absolutely fantastic!! How fun is this?! !...Love it! Looks awesome Juliana!! 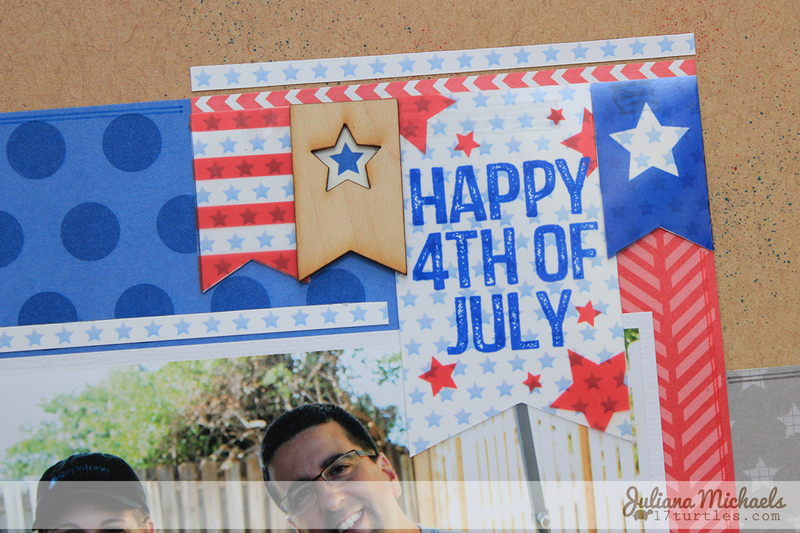 I love the Red, Blue and Gray on the kraft background!! Oh wonderful layout!!! Love the design and the colors!! Such a cool and clean layout Juliana! Love that photo...those little one's are precious!